I spent a lot of time reading maps, exploring the surrounding wilderness and dealing with the usual public park happenings that would crop up. Rowdy teens? Illegal fireworks? Missing persons? They certainly made it feel like I was working in a giant public park. All these mundane activities were broken up with radio communiques with Delilah, a veteran lookout who acts as a guide at first but slowly develops into a companion for Henry. The dialog options gradually evolved from cordial and business like to flirtations. I’m supposed to believe Henry begins to fall for Delilah despite only hearing her voice on the radio. I bought it and believed the possibility of falling for someone in this manner but I wasn’t sympathetic to Henry’s emotional affair. I wasn’t convinced to even consider the flirtatious options. While Delilah sounded like a perfectly nice lady, time progressed in jump cuts and the slow build-up towards a connection was a bit too rapid for me to develop any emotional connection with her. I can see Henry growing that kind of relationship 60+ days into the job in the middle of nowhere but a couple of hours in real time on my couch? I wasn’t sold. The precarious nature of the Unity engine also struggled to keep me engaged. I was okay with not being able to run the game at 4K60 on a NVIDIA GeForce GTX1070; I was fine with settling with 1440p60. I was less forgiving of the minor hitching and game’s inability to maintain application focus with Steam Big Picture Mode. I wasn’t too keen on the handful of crashes I experienced either. I felt the entire game’s technological foundation was coming apart at the seams at times. I am enamored by Olly Moss’s art so when I heard there was going to be an entire game filled with his touch and style? I paid attention. But pretty scenery and art could only get me so far. What pushed me forward was Delilah and Henry’s conversations. What were they going to talk about next? By only sitting in on snapshots in time, enough loose ends and questions were raised along the way to entice me forward. I may not have bought into the idea of Henry abandoning his wife and falling for Delilah, but I was very curious to discover more about her and her experiences on this job. If Firewatch was supposed to make me think about my views on commitment and unconditional love then Camp Santo succeeded. If Firewatch was supposed to engross me in a situation where I’m supposed to develop a relationship with this woman on the radio then it’s a bit dicier. 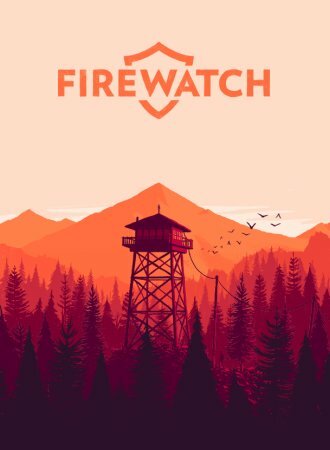 There were beautiful vistas to behold and a genuine believable person on the other side of the radio but unless a person can be convinced to ponder the topic of relationships and commitment, there’s not a whole lot to be gleaned from Firewatch. I watched this year’s Canada Day fireworks from my workplace with my girlfriend and her parents yesterday. It was my first time meeting them and I thought it went very well. I was incredibly comfortable around them and at times I felt like I was communicating with my own mother. My girlfriend wasn’t as relaxed as I was though. I may have been comfortable during in the moment but after the fact? A fair bit of anxiety kicked in — how did I really do? Girlfriend said it went fine and we’re all meeting up again for dinner tonight so there’s that. I finally finished Firewatch. As someone who is just kicking off a serious relationship I see it as a mirror of morals and what I believe unconditional love means. It also lays out the question of what an emotional affair means to people. Can you fall for someone who you’ve only known through voice or — in the modern day context — chat? 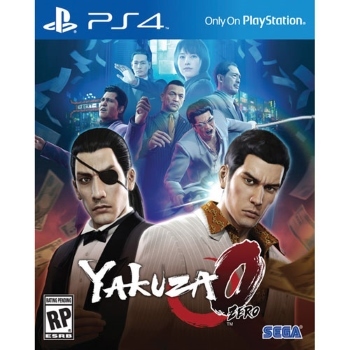 I thought it was very effective at conveying its story but I felt the game’s engine was being held together by duct tape.